ONE Your dog can never take responsibility for getting trained. You must take the responsibility, time and effort to educate your dog. This means that you must also take the responsibility of learning to communicate with your dog. Without communication there can be no education. TWO In the canine world there are no such things as equals. You will either lead or follow. Dogs’ reasoning ability is similar to a two-year-old child. A two-year-old child does not make an effective leader. You must be the leader. A leader is the decision maker, stays calm and takes responsibility, gives clear directives and praise – a leader does not shout, use physical force, increase stress. THREE Every time you interact with your dog, he is learning something. If you are not teaching him the right behaviour he is learning the wrong behaviour. FOUR “Negative attention” to a dog, is still attention. If the only way your dog can get attention is by being bad, you will train him to act bad for attention. Remember to always reward your dog for good behaviour. Pay attention when he is doing something right and let him know that you like it. 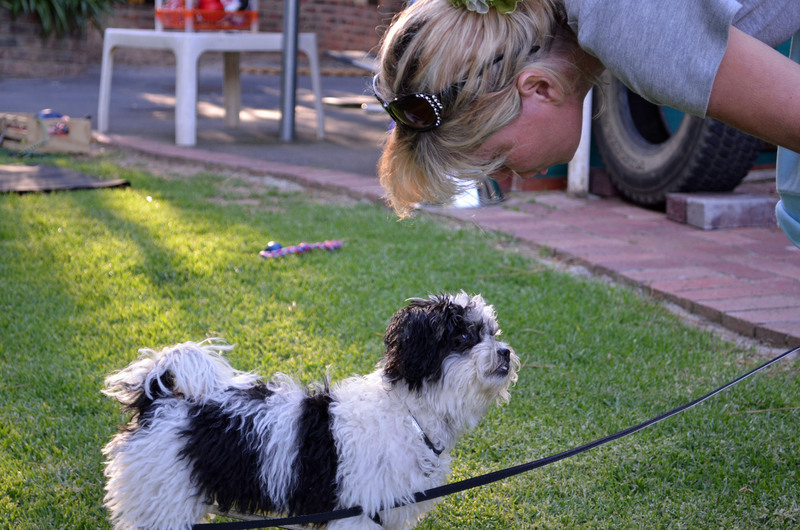 FIVE The consistency of your dog’s behaviour good or bad will mirror the consistency of your training. If you train your dog repeating the command 10 times, you can expect the dog to respond 10% of the time. SEVEN If you are correcting the dog, are you certain that the dog understands why it is being corrected? Have you educated and then generalised the concept? EIGHT In nature there is no form of punishment, only consequences. If you can stop thinking punishment and focus on what the dog perceives as the consequences of his actions, you will make more headway in any situation. NINE If you are constantly reacting to the dog’s behaviour, it is the dog that is training you! You must decide what behaviour you want and educate the dog to that behaviour. TEN You are your dog’s primary role model. If you want quiet calm behaviour, then your must role model quiet calm behaviour.